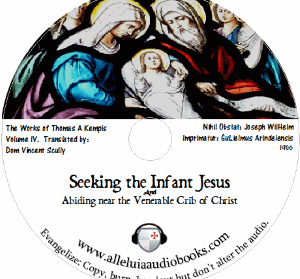 Some Homilies from Father Thomas A Kempis, the venerable author of the Imitation of Christ, on the Birth of Our Lord Jesus Christ. The Imitation of Christ by Thomas A Kempis is the largest read devotional book in the world next to the bible, and no book has been translated into more languages than the Imitation of Christ. 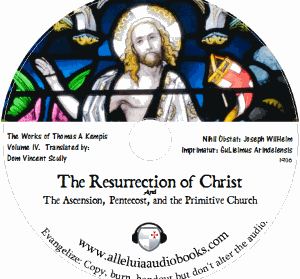 Be taught by the Venerable Thomas A Kempis, the author of the Imitation of Christ on how to celebrate the Resurrection of Our Lord as one should with devotion and exaltation. 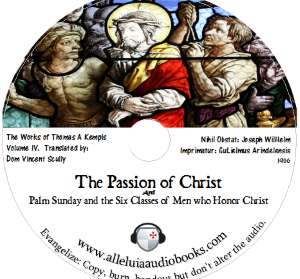 Some Homilies from Father Thomas A Kempis, the venerable author of the Imitation of Christ, on both the Passion of Christ and on Palm Sunday and the triumphal procession of Jesus our Lord into Jerusalem.